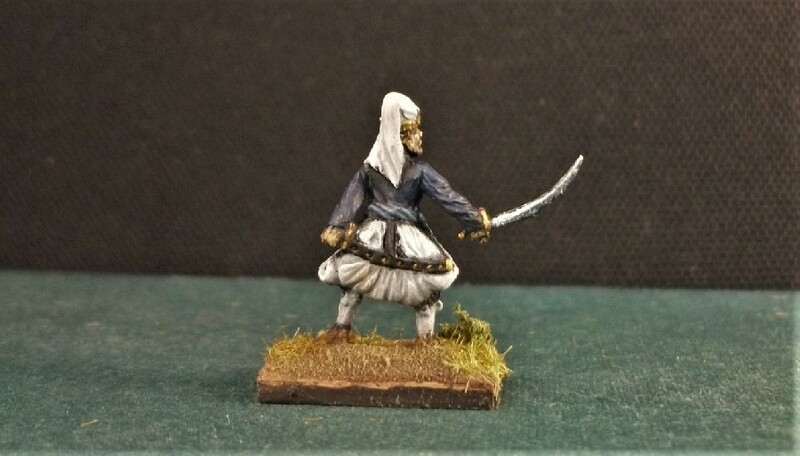 Continuing with my new 17th Century Ottomania project, I’ve been further developing the Sultan’s artillery. 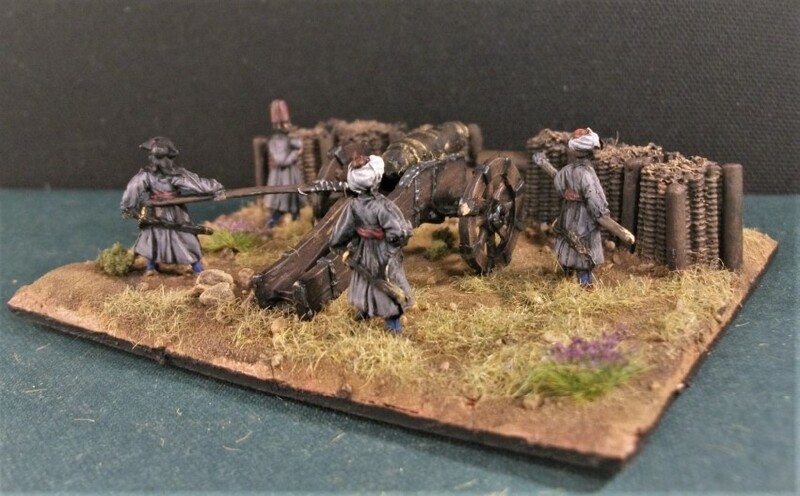 The two guns of the Ottoman field artillery that I painted are now joined by four siege mortars of the Humbaracı Corps. Once more, I’ve made use of more gabions from Anyscale Models, a slightly different type to those used in the last group of artillery, however. Four mortars in total are crewed by a total of 16 men of the Humbaracı Corps. Siege warfare was developed to a highly sophisticated art by the Ottomans and their artillery was amongst the first professional, standing force in Europe. Mortars were an effective means of hurling missiles over city walls in order to degrade the target by indirect fire. 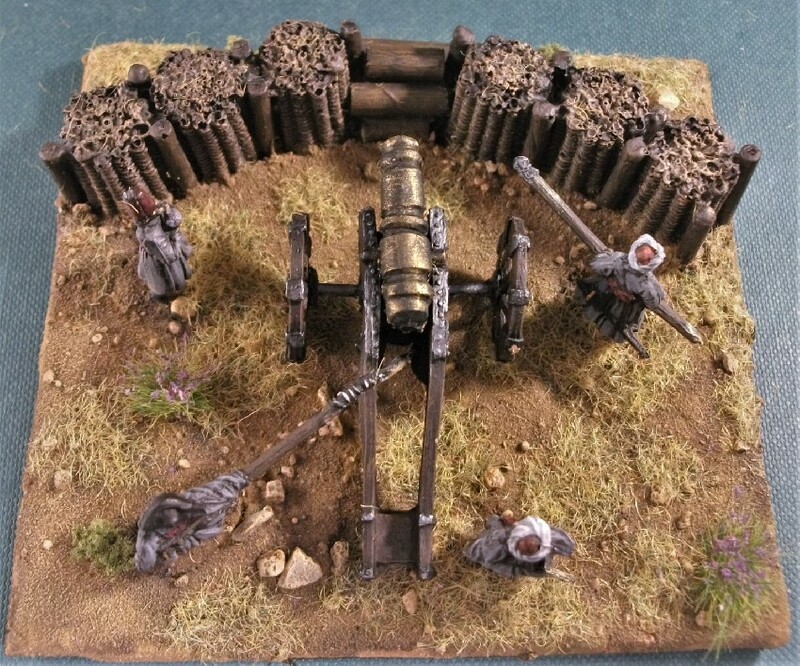 I have set my mortars at a high angle as if they are close in on an invested town’s walls, terrorising inhabitants and defenders alike with their bombardment. The Humbaracılar used havayi mortars, humbara bombs of glass or iron, and humbarasi grenades of glass or bronze. You will note that the Mortars are sited on a kind of raft of wood to provide a stable base. Interestingly, Osprey also state that “…when not cast-on-site, Ottoman gun barrels were normally transported separately from their cumbersome carriages”. In my eagerness to finish these off, I realise now that I’ve neglected a couple of final touches including those portfires with their glowing ends which I so enjoyed producing for the last set. 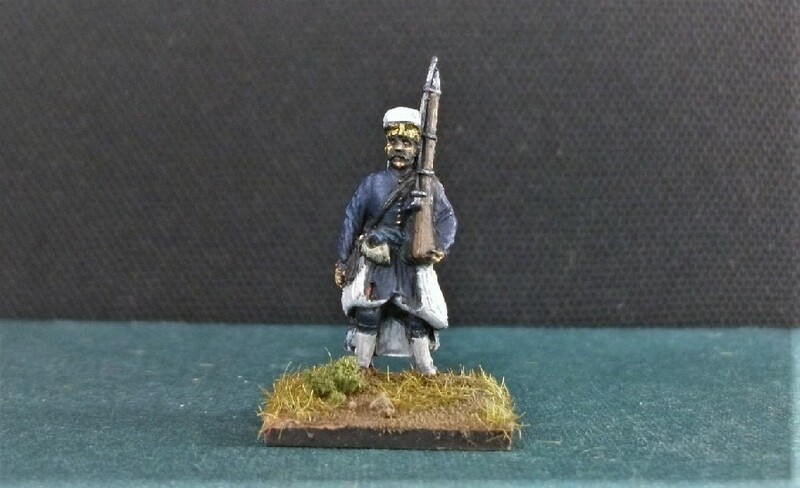 As with the last group of Ottoman Artillery field guns, and entirely for my own satisfaction, I’ve imagined the corps to be wearing a consistent dress uniform in a kind of light blue with mid-blue trousers and red sash. The reality might have been far more diverse and less uniform, but I can’t find a definitive statement on their dress. 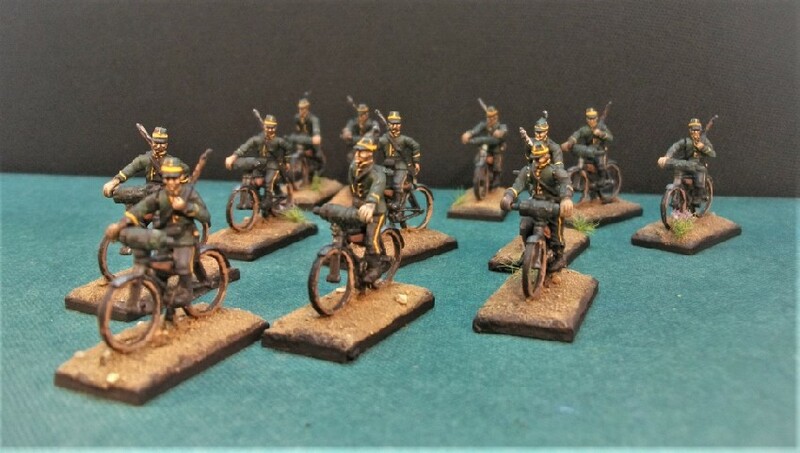 I also rather fancied keeping the artillery in a uniform manner because the infantry and cavalry will be far more individualised when I get around to painting them too. 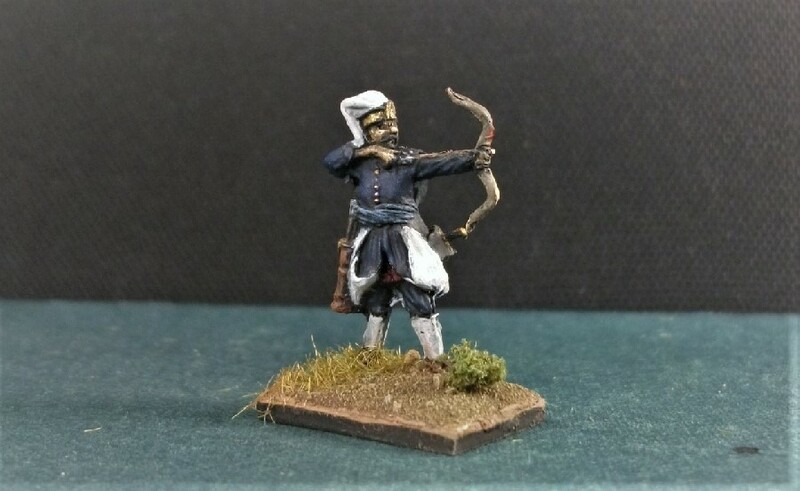 It seems that I’m not the only one to take this approach as other hobbyists have painted their Ottoman artillery in uniform colour schemes too, one of which inspired my own design for the Humbaraci Corps. 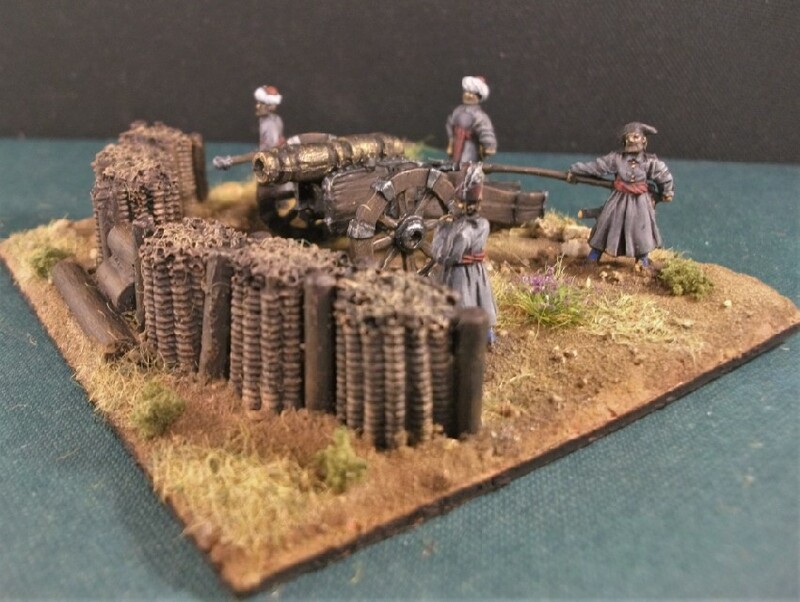 Excellent Old Glory figures of Ottoman artillery crews – as seen on Lonely Gamers blog. 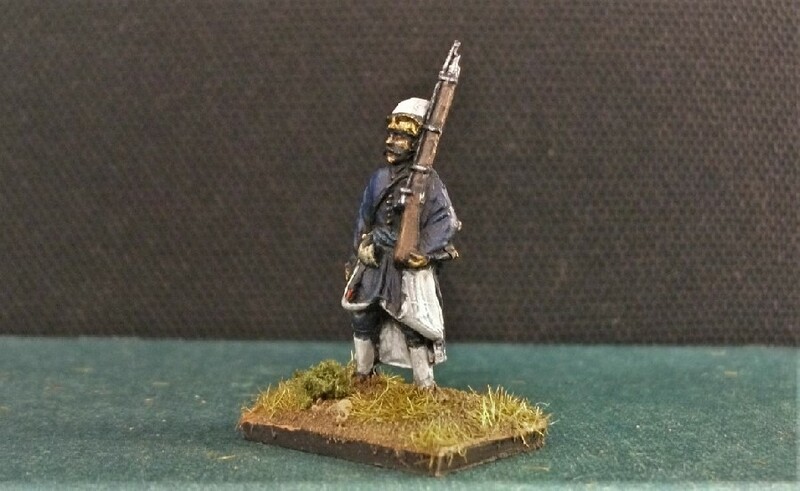 …and these beautifully painted uniforms of the sipahis and a gun grew from the now sadly dormant Kaiser Bill’s blog. 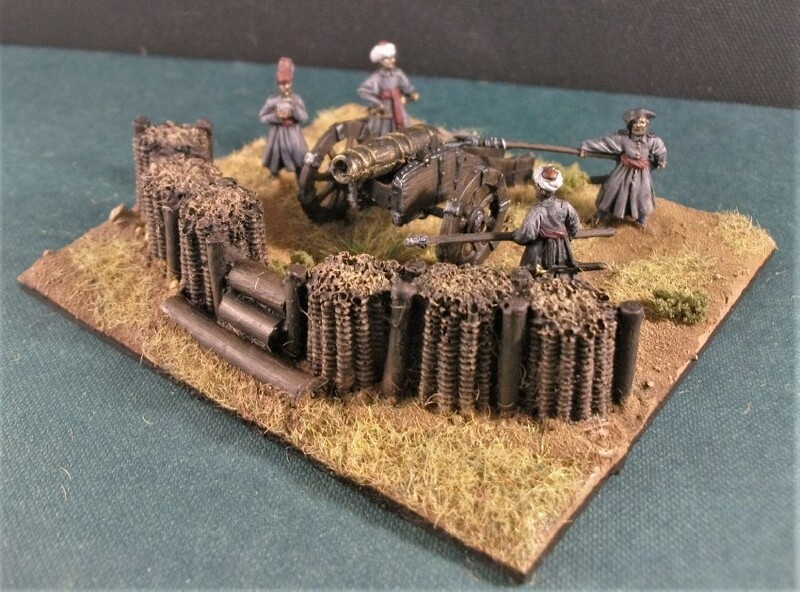 If that’s not enough Turkish artillery for you (and surely it is), there’s a third set that I’m busy working on too, so I should have a sizeable Ottoman artillery contingent when I’m done. But more on that in due course! 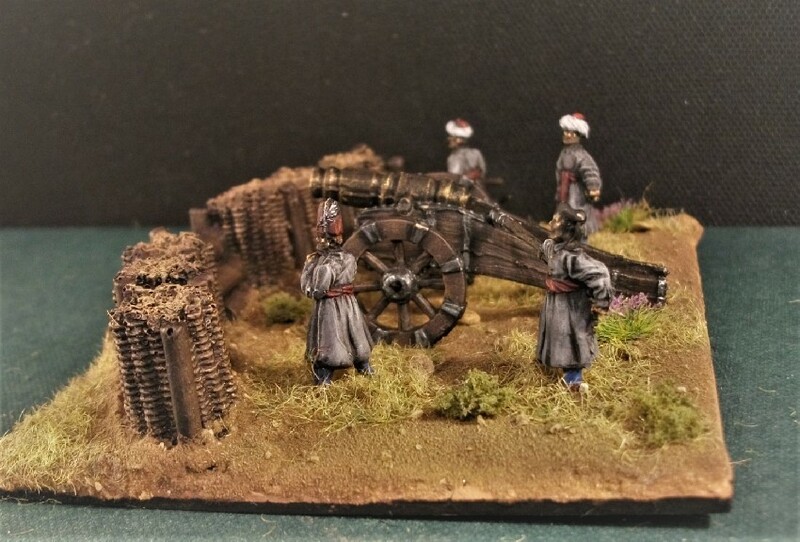 My Ottoman Turkish Artillery project (which I’ve now shamelessly dubbed ‘Ottomania’) kicks off with a completed box of RedBox’s “Turkish Artillery (17th Century)”. 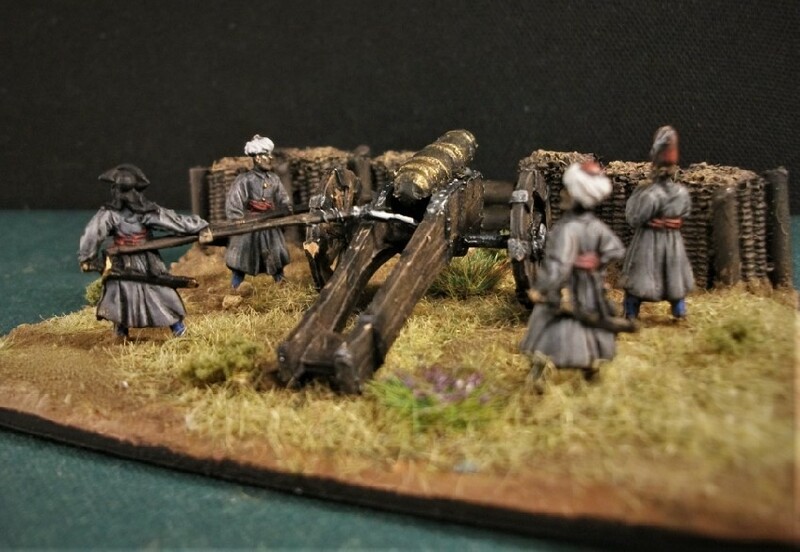 As I’ve indicated in a previous post, RedBox have issued a number of different kits featuring Turkish artillery from the 16th/17th centuries, so I intend to do more. I’ve created two gun teams which service two different calibres of gun. Both guns are large compared to Napoleonic artillery. 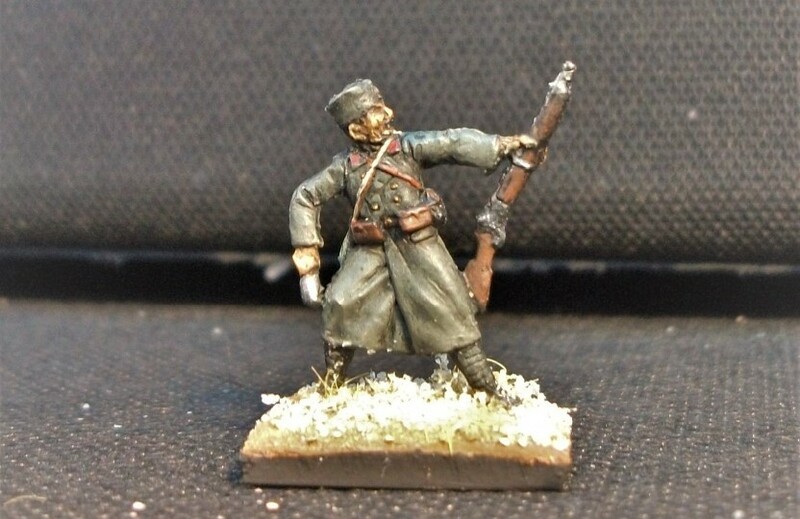 Plastic Soldier Review informs us that the larger gun has a barrel length of 35mm (equivalent to 2.5 metres) while the smaller gun has a barrel length of 29mm (equivalent 2.1 metres). Much of my time was spent on the basing which features resin-cast gabions as a defensive emplacement. 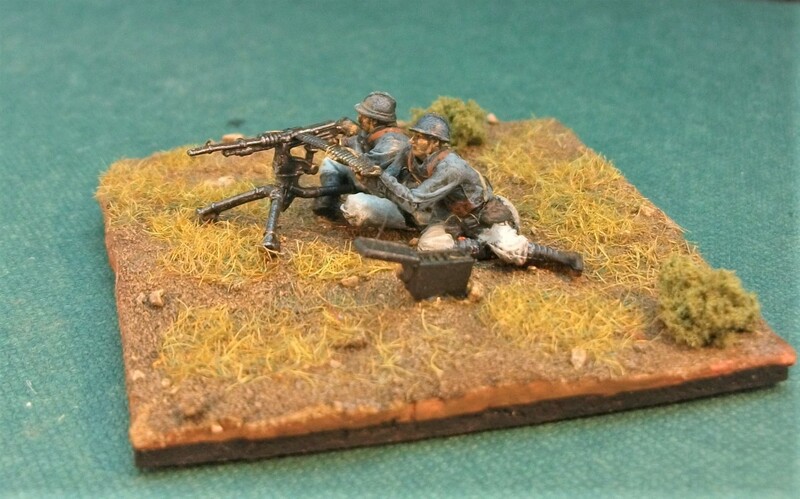 I’m convinced that the extra time spent on basing is important for artillery groups. I’m particularly pleased with the way my gabions turned out. 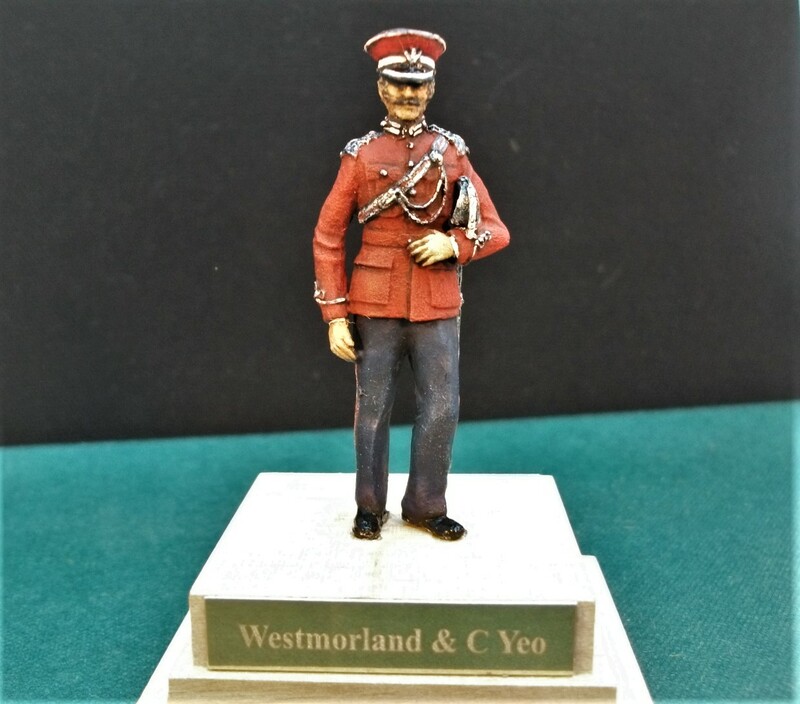 Some preparation was necessary before painting with some initial cleaning before being mounted on some short lengths of plastic card to better accommodate the modelling clay base. Minor holes which had appeared in the original resin cast were filled in with a little bit of glue. With a generous gun crew of 8 figures to service each gun, I was careful to make a big enough space to accommodate them all without crowding. The walls of Vienna brace for another projectile about to be sent hurtling towards them. The smaller of the two cannon, mounted on a fetching blue carriage. The larger of the two guns about to be fired. 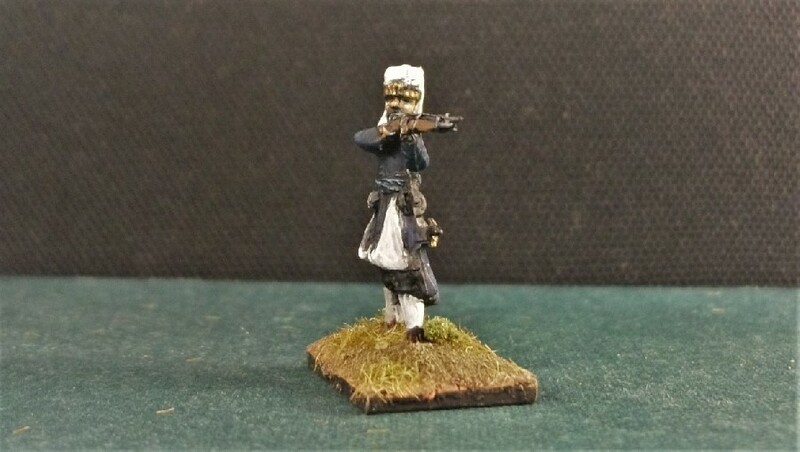 My two teams of Ottoman topçu artillerymen are more or less painted and are awaiting their mighty guns. Not only that, they are also awaiting their gabion protection screen. The diorama bases (one for each gun team) are already in progress and so I should start applying paint to them soon. In the meantime, here’s a pictorial review of my (nearly) painted Ottoman topçu. The ammunition being carried. I’ve supposed the cannonball is made of stone. I particularly like how this man’s coat is pinned back. 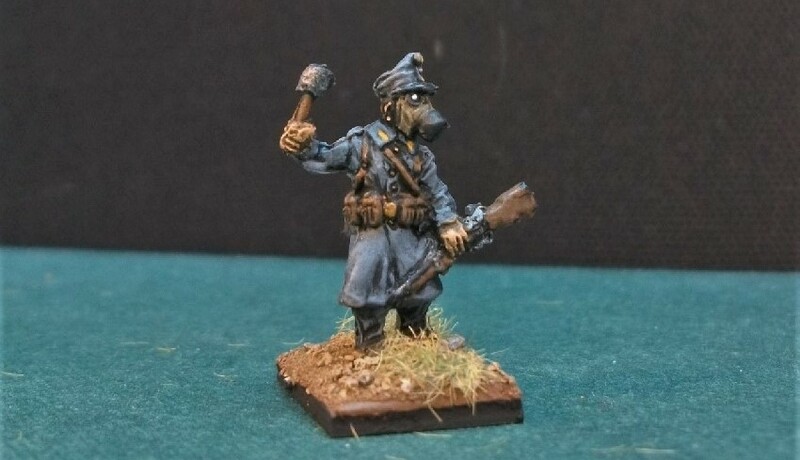 he will then dip his fleecy ramrod into a bucket of water and clean out the barrel of the cannon to make sure there were no sparks to set off the next charge. I’m no artillery expert but I suppose this man might be a ventsman whose unenviable task was putting a thumb over the touchhole, to stop any premature explosion if any burning particles have been left by a previous shot. Once the gun is ready, this firer will step in to ignite the charge with his portfire and the cannon will discharge. I am quietly pleased with the burning, glowing end of the cord, a quick job of experimental paint mixing which seemed to work pleasingly well. 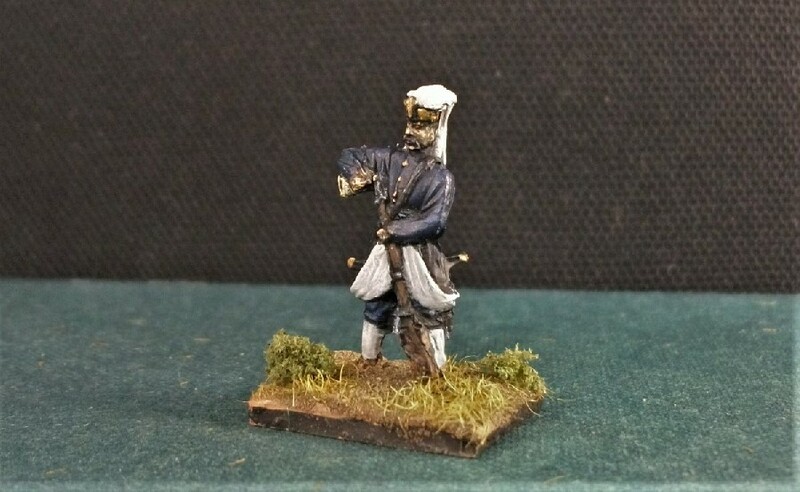 This chap with the fez holds a handspike which he will use to help move and re-sight the cannon prior to the next shot. Commander of gun crew “iki” (number 2). His holdfast on the turban needs attending to. Commander of gun crew “bir” (one). His feather is still awaiting some paint. 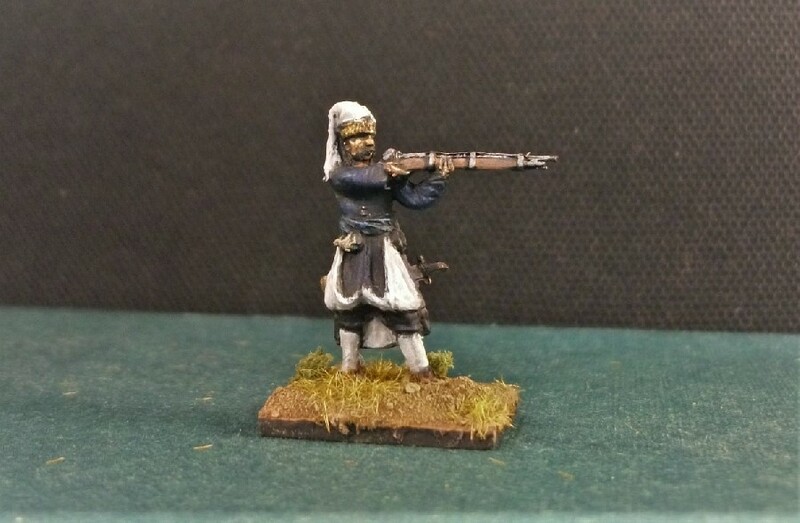 They’re impressive figures by Redbox and I’m quite pleased with the way these Ottoman artillerymen have come out. Well, my next task is diorama making which, as I’ve said, I’m already now under way on, so hopefully something to show at some point in the not-too-distant future. 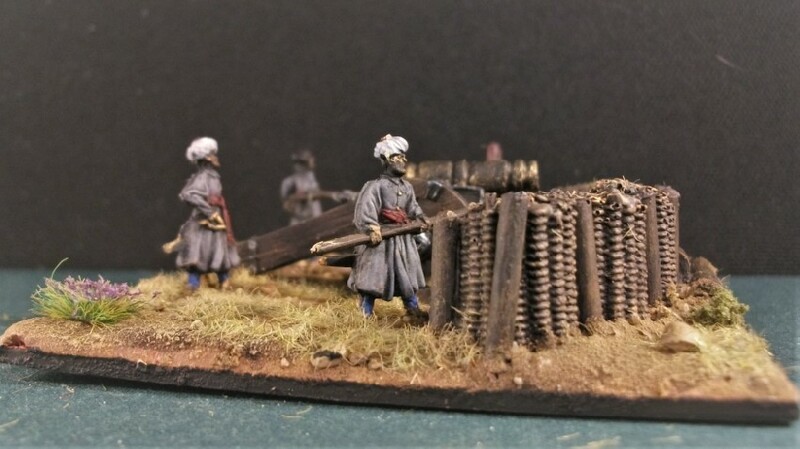 In my last post I indicated the purchase of something to assist my latest project painting which is 17th century Ottoman Turkish artillery by RedBox. I’ve discovered some siege equipment, wicker gabions cast in resin, for sale on the internet. Early gabions were round cages with open tops and bottoms, made from wickerwork and filled with earth for use as military fortifications. These early military gabions were most often used to protect sappers and siege artillery gunners. The wickerwork cylinders were light and could be carried relatively conveniently in the ammunition train, particularly if they were made in several diameters to fit one inside another. At the site of use in the field, they could be stood on end, staked in position, and filled with soil to form an effective wall around the gun, or rapidly construct a bulletproof parapet along a sap. Cheap, quick and effective construction pieces even today, they are still a popular form of erosion control and landscaping. The side of motorways are commonly lined with metal cages filled with rocks; the modern alternative to wicker cylinders filled with earth. Anyscale Models produce four fabulous resin artillery screens of wicker gabions for just over £5, which allows me to protect eight of my gun teams for a very reasonable price. 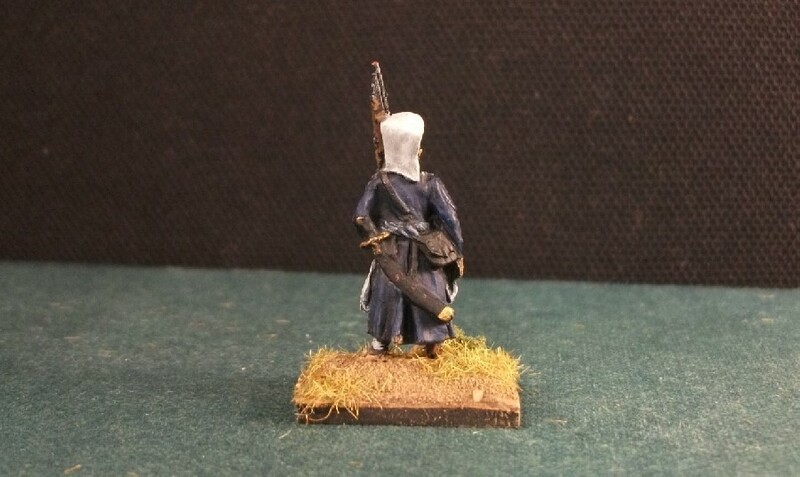 Manufacturer of my Ottoman Turks, RedBox, actually make their own 17th Century battlefield accessory set, but for the same price I would only get 3 gabions, not 48! 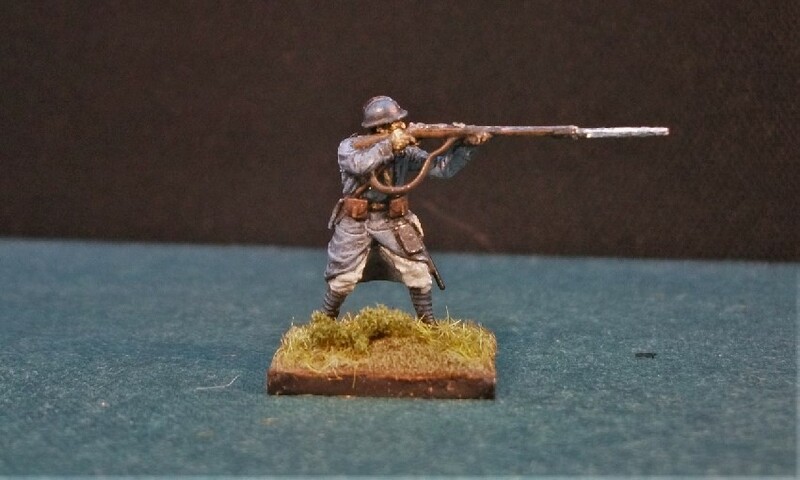 Unfortunately for me, Anyscale Models’ main focus seems to be the 20th century and these are something of an anomaly. 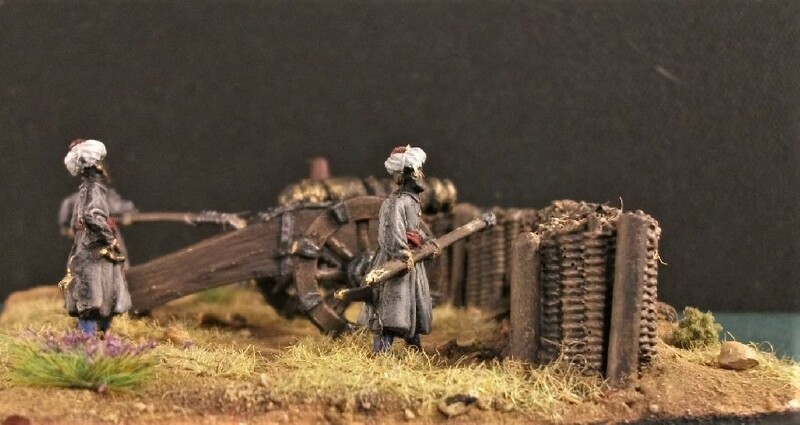 A 1/72 scale Ottoman Topçu Ocağı mortar crew shelter behind the gabions. 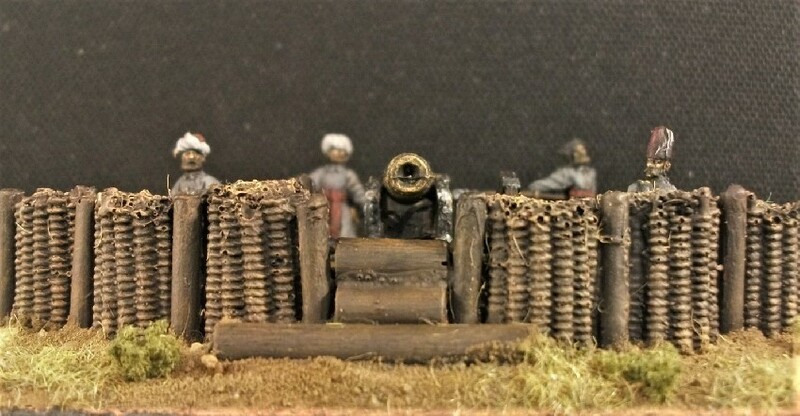 My gabions are billed as being suitable for 20 -28mm scale and so should suit RedBox’s Turkish cannon and crews very well. They come in two different types, the slightly more expansive of the two are intended to be used for my larger calibre guns. These gabions will, of course, require some painting, so we will see how that goes! RedBox have been producing some very fine figures of late. The eras and conflicts that they concentrate on are mostly to do with the 16th/17th century. This is a little outside my areas of interest but nonetheless, I’ve been impressed by their recent figures. 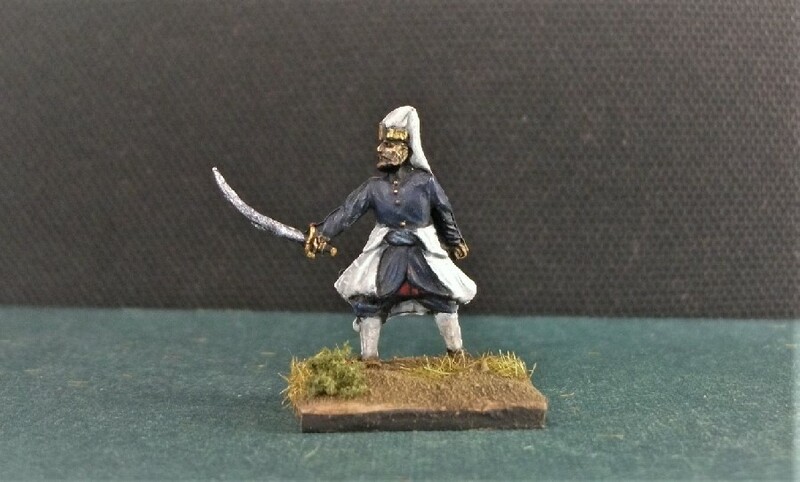 And so, for my next slow-burn project I will be having a go at building the Sultan’s army from their wonderful range of Ottoman Turks, starting with their artillery. The Ottoman Empire was enormous at its height and was unsurprisingly therefore very powerful militarily. The Ottoman Empire was amongst the first European nation to have a professional and permanent artillery corps and consequently were the most effective in Europe in the 16th and 17th centuries. In an era dominated by siege warfare, much of the Ottomans strength lay in their numerous and formidable artillery corps. 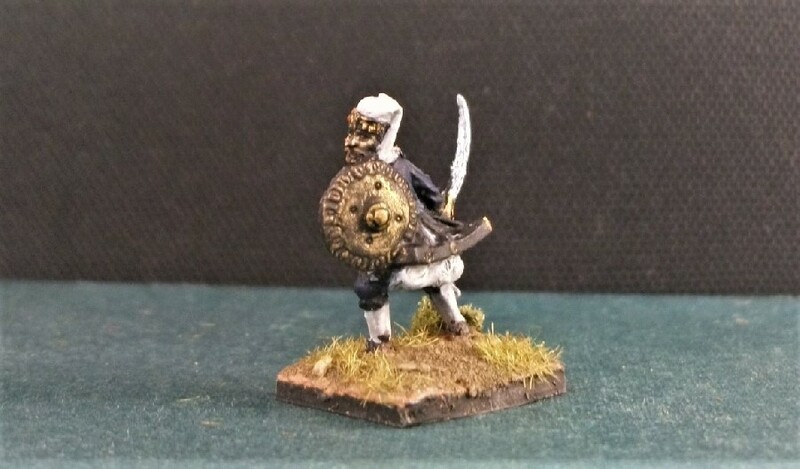 I’ve decided to start with some figures from their “17th Century Turkish Artillery” set. Having a few boxes of Turks arrive through the post recently, I’ll probably dip in and out of these different kits. 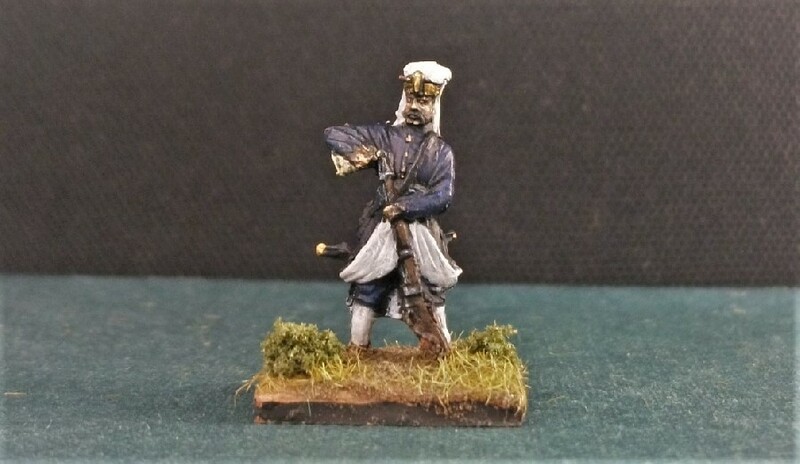 Ottoman Topçu (artilleryman) from observations taken by the Swedish ambassador to the Ottomans. 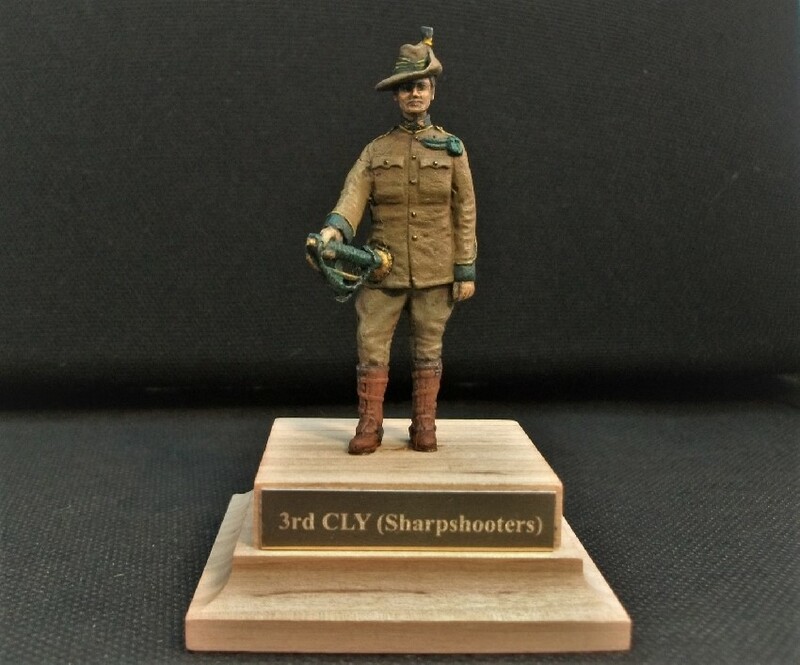 The Topçu Ocağı (or Artillery Corps) being both a professional and a favoured division of the army did wear uniforms, though of exactly what sort is open to question. There appear to be many variations on colours, so it may be that colours simply varied with from unit to unit. For my first figures, I’ve gone with the colours shown consistently on all the RedBox box covers which closely match the illustration shown above by a contemporary Swedish ambassador. I may even maintain the same uniformity throughout all of the Sultan’s artillery, other arms being much more varied. A re-enactor of the Siege of Vienna 1683. With artillery sets, I guess the only way to present them is as a group together in a mini diorama, as with my recent Cracker Battery. 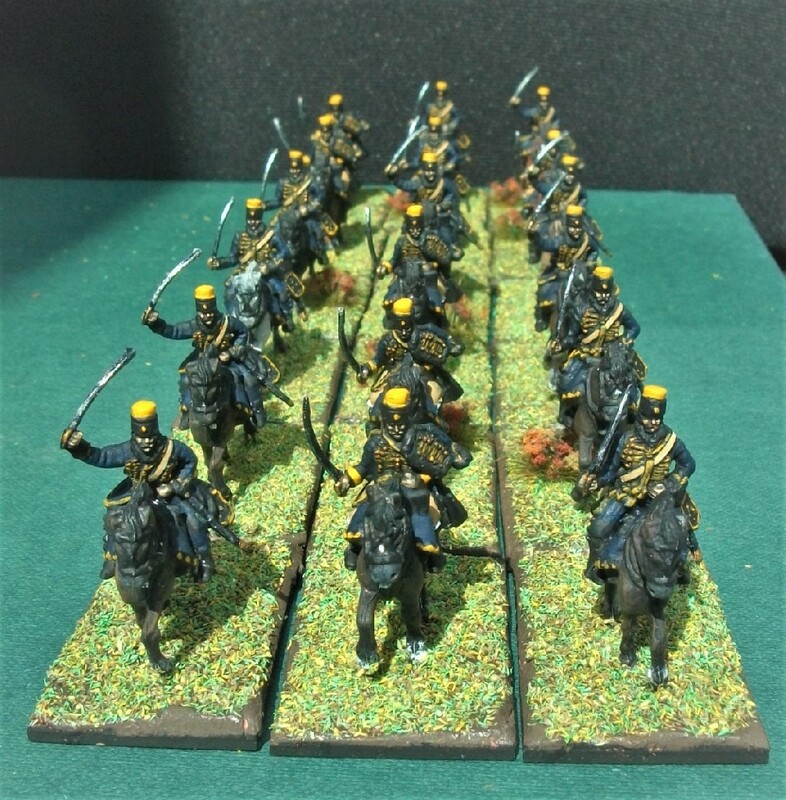 To facilitate this, I’ve made another purchase which I hope will go perfectly with my Turkish artillery units. I’m rather excited about it but I’ll reveal what this is in a future post! Earlier this year I painted some figures for a ‘Group Build’ on the very wonderful Benno’s Figures Forum. 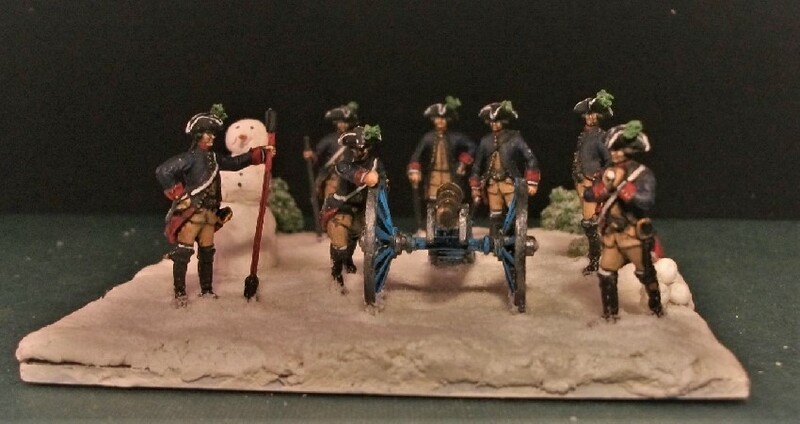 These were then sent over to Germany for a talented chap called Jan to build into a display alongside many other figures also received from fellow forum members across Europe and the US. 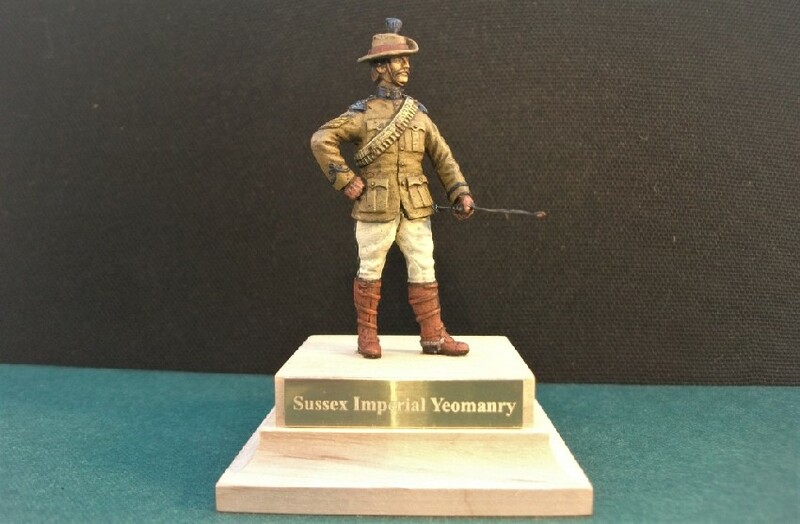 The idea behind the project was to assemble a long column of marching figures taking in different historical periods while representing the painter’s own country or region. 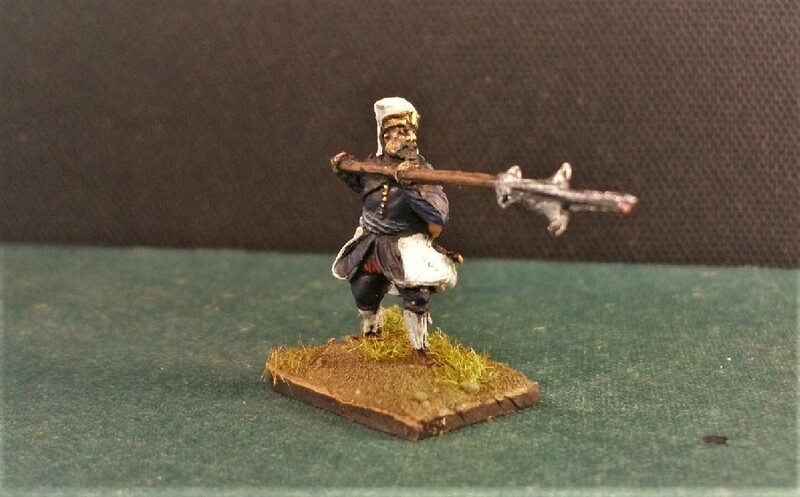 I painted the 17th Regiment (representing my county of Leicestershire) using RedBox’s British infantry circa 1750. This week, the project has finally been declared “finished” and photos of the final, grand diorama were posted on the forum. The display featured proudly at last weekend’s FIGZ wargaming & miniatures event in Holland. I feel very proud to have contributed a little something to this project alongside my talented fellow figure painters from across the globe. So, here’s where my 17th Regiment boys ended up after Jan’s magic treatment – marching through the woodland of the US / Canadian border around the time of the French-Indian War (1754-63). Paul, Great Britain – Grenadier Guards with marching band. Astronauts. 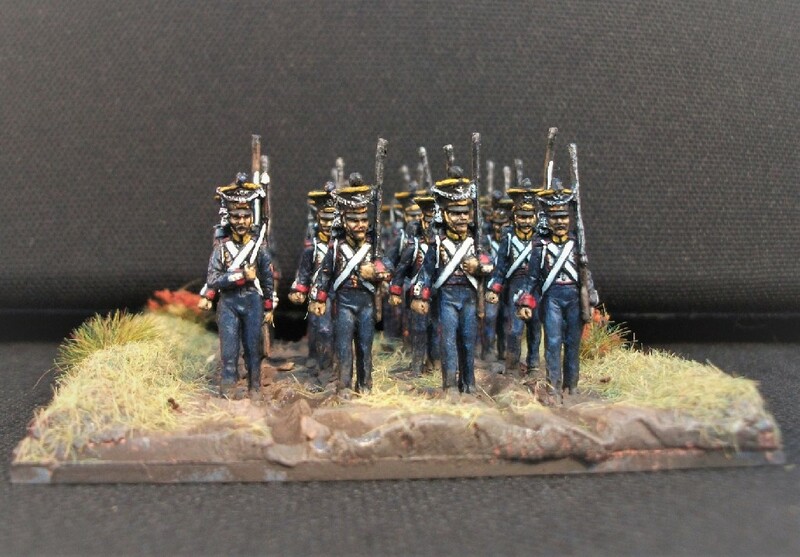 Prussian Infantry, circa 1806. 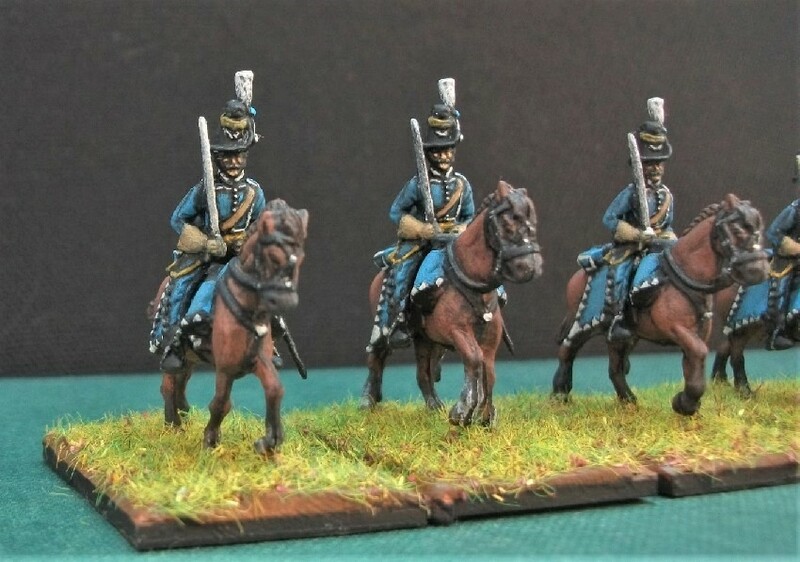 Sascha, Germany – Prussian grenadiers, circa 1760. 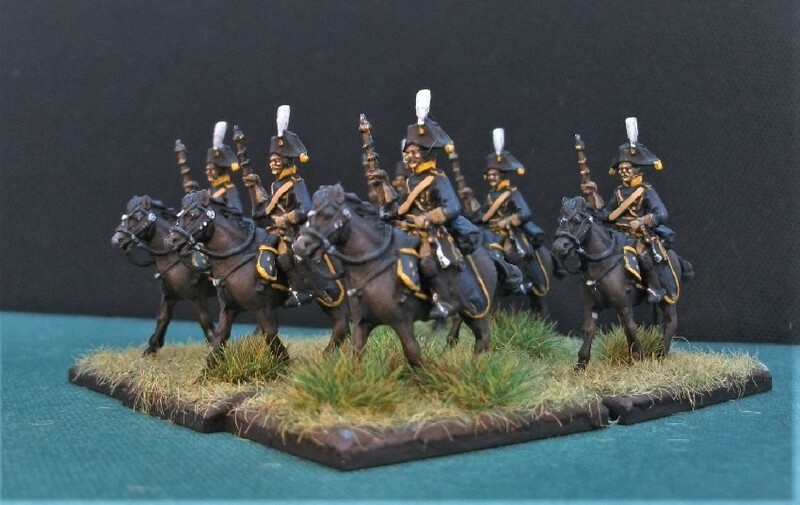 Napoleonic Westfalian Infantry. Dykio, Netherlands – Soldiers painted in the colours of the ADO Den Haag football team! 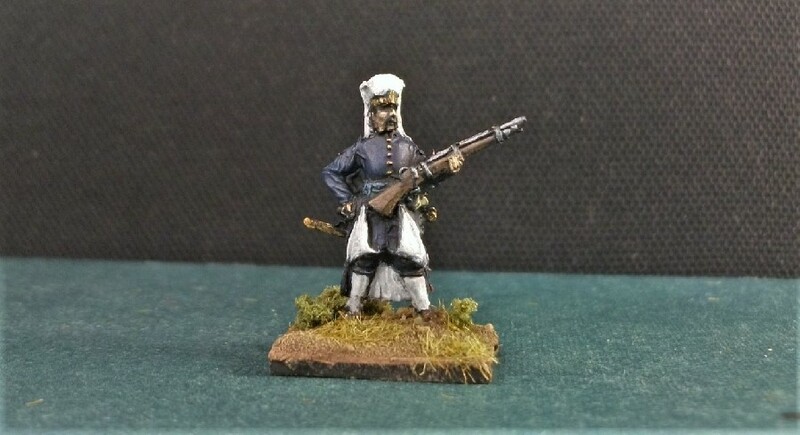 Gunnar, Sweden – British Grenadiers, circa 1770s. 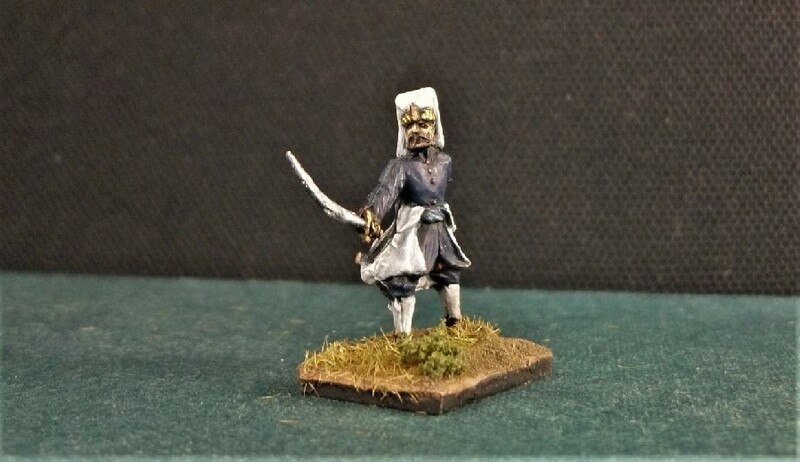 Swedish Infantry circa 1700. Edwardian, Great Britain – 14th Middlesex (Inns of Court) Rifle Volunteer Corps, circa 1897. 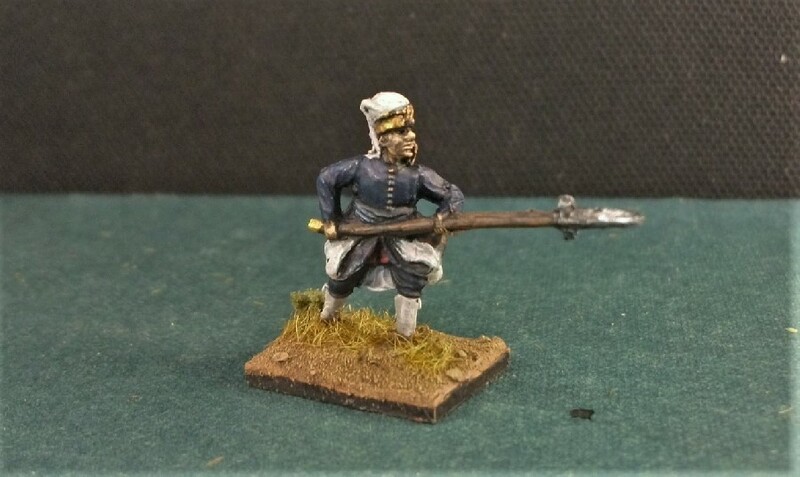 Remco, Netherlands – Napoleonic Dutch Infantry and a flagbearer with a FIGZ flag! 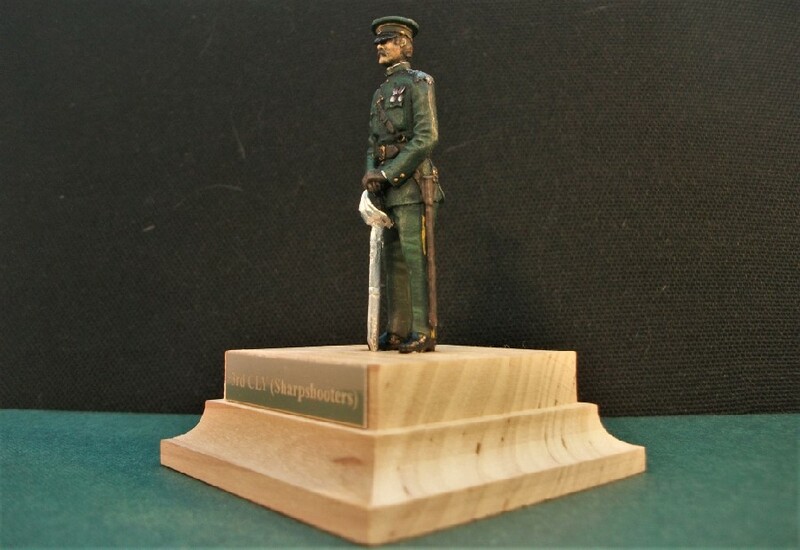 Dirk, Germany – Prussian infantry representing a variety of periods. 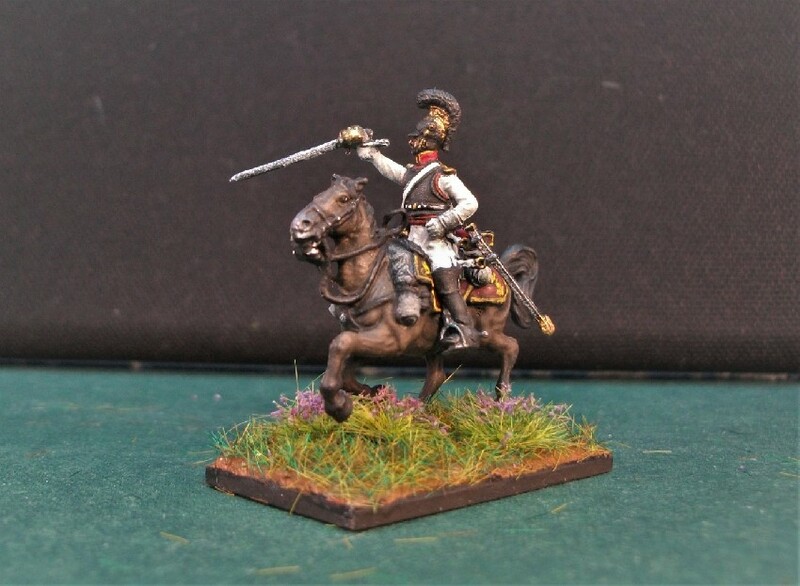 Andrea, Italy / Togo – Italian Bersaglieri, circa 1859. 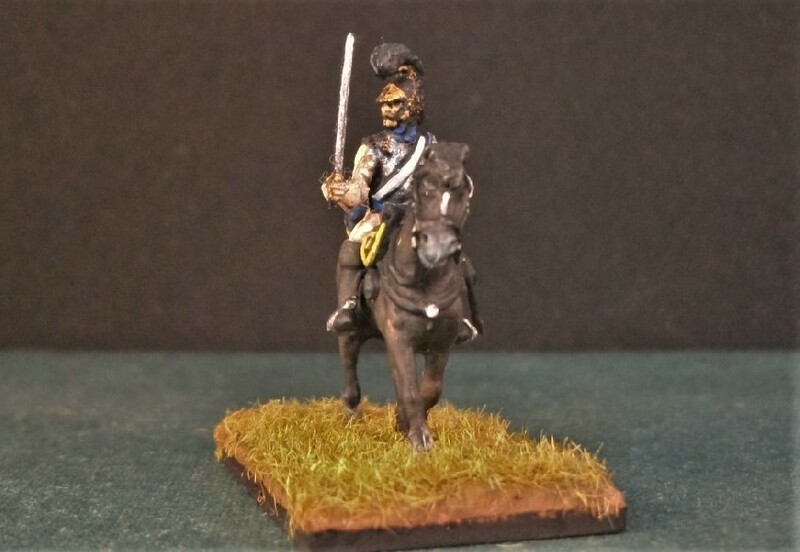 Marvin, Great Britain (…yours truly) – 17th Regiment of Foot, circa 1750. 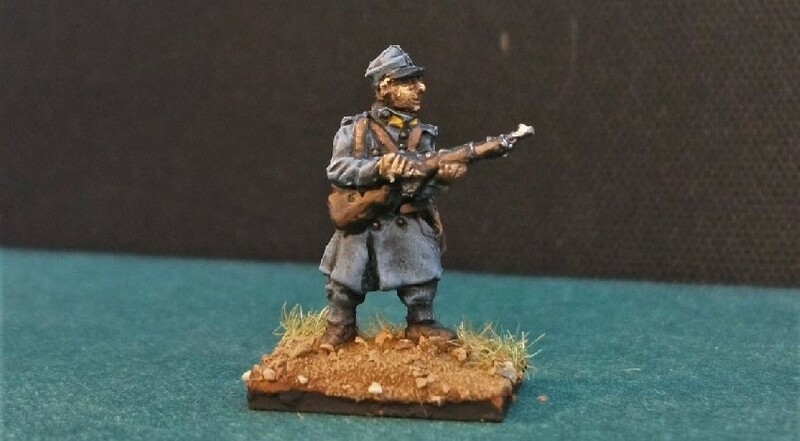 Jan, Germany – Napoleonic Danish Infantry, Confederate Infantry circa 1860s. 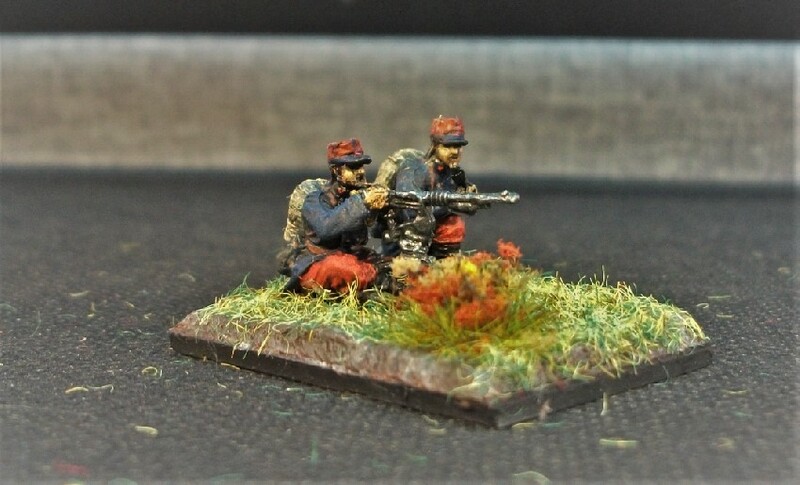 Napoleonic French Infantry, Medieval hunters and WWII US Infantry.